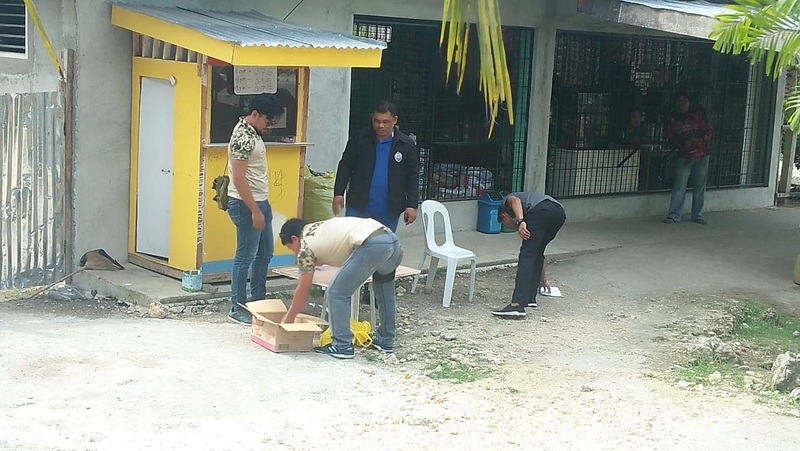 National Bureau of Investigation operatives raid Peryahan ng Bayan stalls in Barangay Tangnan, Panglao at 2 p.m. on Thursday. Agents of the National Bureau of Investigation (NBI) arrested a pregnant woman and two other women in raids of three Peryahan ng Bayan stalls in Barangay Tangnan, Panglao at 2 p.m. on Thursday. According to NBI Bohol director Atty. Renan Oliva, they raided the establishments owned by Globaltech Mobile Online Corp. through a search warrant issued by Judge Jorge Cabalit of the Regional Trial Court Branch 48 in Tagbilaran City. The company, based on a Philippine Charity Sweepstakes Office certification, was stripped of its capacity to operate its numbers game establishments on February 17, 2016 through PCSO Board Resolution Number 5 Series of 2016, said Oliva. Authorities identified the arrested women who were tending to the allegedly illegal stalls as Princess Resane, 18, Michelle Loquias, 36, and Mary Jane Estoque, 21, who was eight months pregnant when they were taken into NBI custody. The NBI operatives confiscated various illegal numbers game paraphernalia including bet stubs and a cellphone believed to have been used for programming numbers chosen by bettors. Oliva said that Peryahan ng Bayan operations expanded throughout the province of Bohol even after the National Capital Region, RTC 161 in Pasig City junked the writ of preliminary injunction filed by Globaltech. More Peryahan ng Bayan stalls are set to be raided if these remained operational, he added.